Two and a half years ago I wrote about the economic difficulties facing the modern small-business owner, and, well, it looks like nothing has changed since then. Times are still tough, money is tight, and starting your own new business takes an iron gut. What has changed is the technological landscape--with social networking and mobility now critical themes in the startup world. Everything from raising money to finding staff to getting the word out about your business has evolved with the times, even if your wallet hasn't. How do you start a business today with practically nothing besides a good idea and a lot of free time? By following this advice. Got a killer idea but no cash? 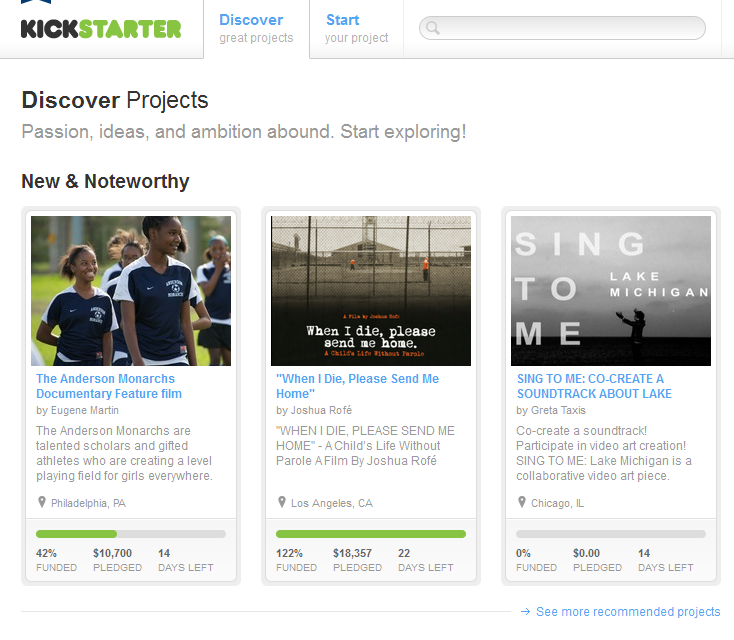 Kickstarter enables P2P fundraising. Writing a business plan is for suckers. Today the hottest way to raise money for your startup--provided that you don't need a whole lot of it--is with Kickstarter, a crowdsourced fundraising (aka "crowdfunding") system that can help you collect any sum from a few hundred bucks to almost a million. All of the seed money comes from the plebes...if you can prove yourself worthy of their investment. Funds must go to "projects," not ongoing businesses, so if you're trying to launch a comic book or design a prototype iPad sleeve, Kickstarter is a good bet. People whose aspirations have more of a business focus may consider Profounder, which employs much the same idea as Kickstarter for entrepreneurs with ongoing operational designs. Offshore manufacturing lacks the turnkey Web services that other sectors of the business world now boast, and online directories of offshore service providers seem awfully spammy; your best bet may be a simple Web search for offshore manufacturing providers using the country of your choice as a keyword. Googling "offshore manufacturing countryname" reveals credible providers like ChinaSavvy, MagicPrecision Taiwan, and the Philippines Business Processing Association. Getting services up and running can be time consuming, but using them can make the difference between crafting a high-quality product on a large scale and whittling widgets by hand out of driftwood. The true startup cheapskate sets up shop in the basement, in the garage, or on the living room couch. But if those options don't cut it, check out LiquidSpace, which offers short-term, part-time, and temporary workspace options ranging from full business centers to unused conference room tables. An iPhone app makes it easy to find the nearest available place to squat. 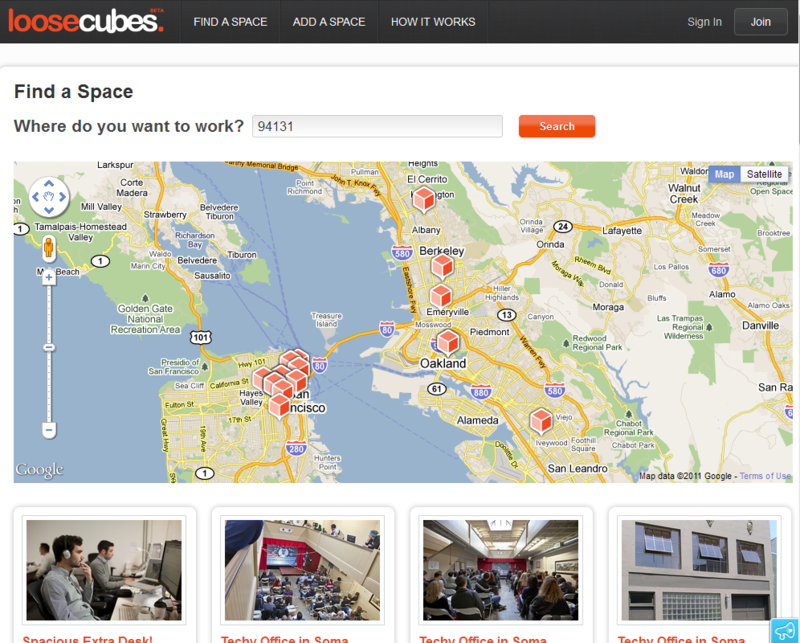 If Starbucks isn't your ideal office, Loosecubes has alternatives. Loosecubes offers similar features, but it isn't designed for mobile users. Naturally, if the prospect of spending even a dime on your desk rental fills you with horror, there's always free Wi-Fi at Starbucks. You can outsource manufacturing--and you can hire someone anywhere to do just about any other job you can imagine, too. If you're comfortable giving the work to someone whom you won't be interacting with physically--and who may not even speak English--a host of online services will help you find a warm body who possesses the skills you need. 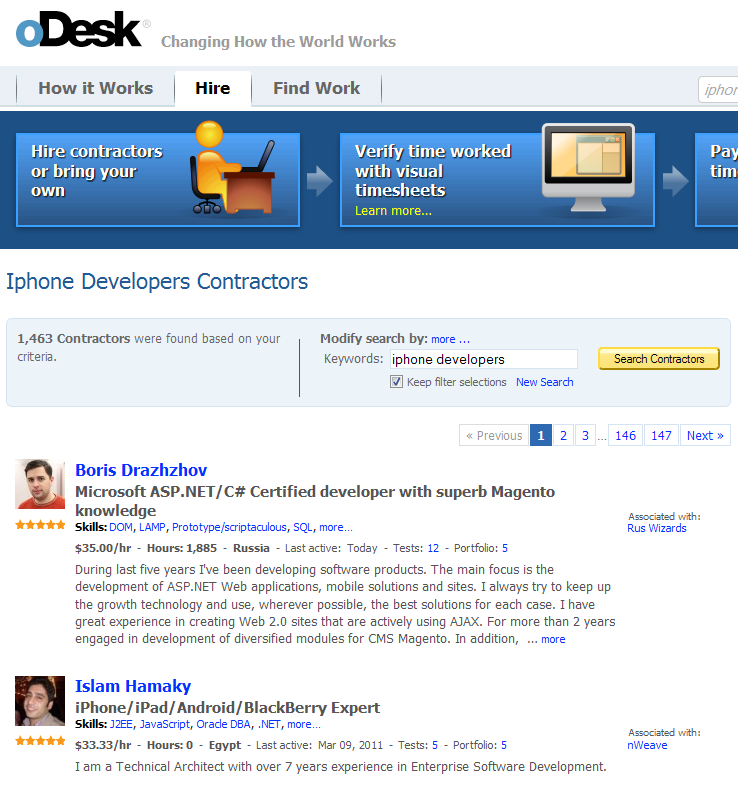 The oDesk outsourcing service helps you find contractors skilled in the area of work you need done. Elance is probably the most visible outsourcing site, and oDesk and Guru offer similar services. All three sites are set up to help you find contract work via a system where you can post your job and invite users to bid on doing the work. Those in the know say that your best bet is to search through contractor résumé pages and portfolios until you find the best candidate for the task, and then to approach that individual directly with an offer. Cattle call job postings on outsourcing sites rarely end with your drumming up any decent applicants at all (as I can attest from my own experience), and the wasted effort delays your project and costs you extra money. Another hiring tip: Craigslist remains a rich market for talent, but the associated fees can add up. A job posting in the San Francisco Bay Area costs $75; but in all other major metropolitan areas, the cost is just $25. If you need talent that can work anywhere, post the job in New York or Los Angeles; work-at-home types around the country are likely to search those major hubs for listings, even if they live in San Francisco. Absolutely no surprise here: Social networks are where all the action is in the world of low-budget marketing. But updating a blog, a Facebook page, and a Twitter account doesn't have to be a time sink. Though you still need them all, now you can easily link them together. Starting with your blog, Facebook can now (finally) automatically pull content from it and repost on your business Fan Page. Start by going to your business's Page (I assume that you have one already), and click Use Facebook as your business. Then search for NetworkedBlogs to find the app, and click Register a Blog. Follow the prompts to integrate your blog--or any other blog--with your Facebook Page. If you use WordPress, you can automatically tweet your posts to your followers using any number of plug-ins (WP to Twitter usually works well). With both of these set up, you can blog once and have the message automatically appear in three places. Best of all, if you use WordPress's hosting service, none of this will cost you a penny. Of course, if none of this works, you can always turn to AdWords. Even if you're stuck with a lease, desks, and employees milling about, you can still save on the costs required to keep an office up and running. Telecommunication costs are a perennial back-breaker, especially if you do business overseas. Google Voice is ideal for a mobile office. 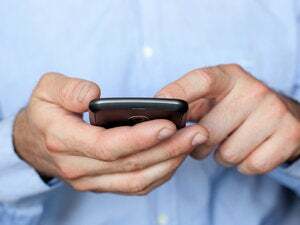 Fortunately, Skype is reasonably reliable and has become a de facto standard for international communications; mobile versions let you use the service from just about any smart phone. Need more features? Check out Google Voice. Sign employees up for a free account for business use, and then let them forward calls to their own cell phones (and get transcribed messages as e-mail). Presto: No PBX required. For just about everything else in your office--from office furniture to surplus ballpoint pens--the twin pillars of cheap stuff, eBay and Craigslist, still reign.